And what a truly magnificent representation of the power and magic and beauty of words Wasted is. The energy, passion and dynamism of the three performers was also hugely impressive. Written by the so very talented Kate Tempest, I have thought much about the play since, and have read and re-read the text. 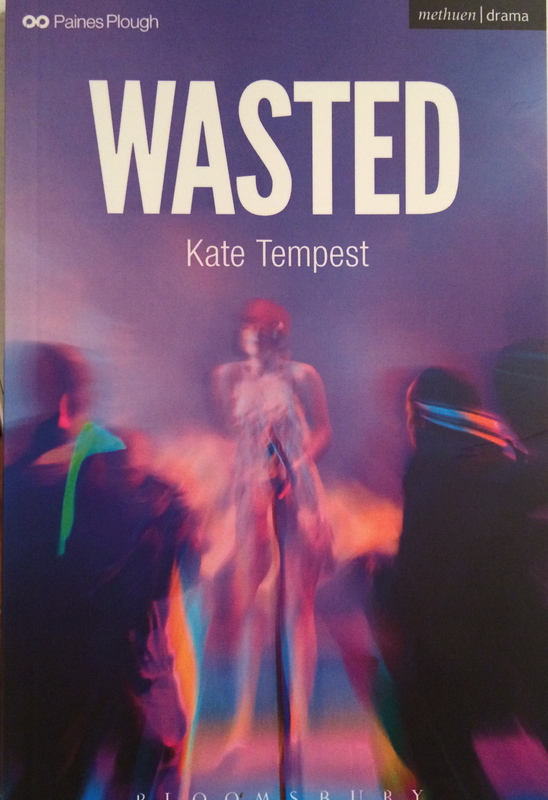 Wasted is word-dense, each word carefully chosen to create a piece of art that is thought-provoking, moving, sad, disturbing, funny, and all the while gripping and enthralling. Many phrases – “All of us, regretting the decisions we never had the guts to make” – resonate and leave much to consider. I have not yet decided how the play concluded for me. But then, there can be no definitive conclusion or ending. This is a story about life, about the challenges inherent in living it, and about the choices you can make, or choose to ignore. … died suddenly over the Christmas period. I had not realised until today. I so love his work, and will return to it in more detail at a later stage. I quoted from his poem Life in my last blog. I recently saw Paul Cox’s film The Life and Death of Van Gogh, and during my reading around the director I came across his memoir Tales From The Cancer Ward. In February 2009, Cox first developed symptoms that quickly led to a diagnosis of liver cancer, for which the only possible hope of cure was a liver transplant. Tales From The Cancer Ward is a diary-like account of Cox’s experience of his illness and of living a waiting life on a transplant list. ‘He is not as knowledgeable as the experts but more human. Tales From The Cancer Ward is about more than illness. It is also a political book, and Cox shares many of his passionate and strongly held views. He believes, for example, that ‘artists must protest’, as he is convinced that they have within them the power to change the world. He speaks openly of fear, the fear of losing his life, and of the force that makes us cling to life, and our refusal to accept mortality. Cox’s memoir depicts the author’s personal attempt find out who he is, to get to the core of himself, in the midst of crisis, as well as a seeing and contemplating of what he has personally learnt as he tries to create a reality out of the unreality that surrounds him.